There has been much controversy and rumors about this past year’s drawdown of the lake. 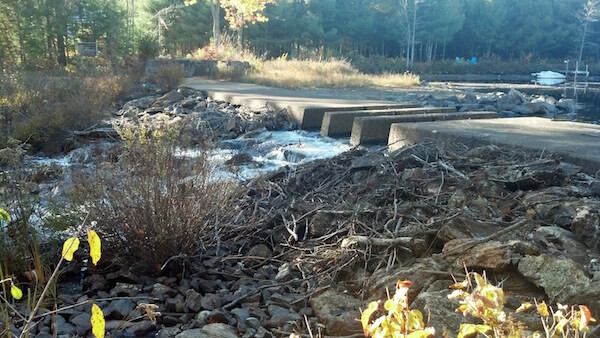 Since the dam and spillway are located in Winchendon, MA and permission for a drawdown must be granted in an Order of Condition approved by the MA DEP and Winchendon Conservation Commission. The Order of Condition that has been in place for the past few years has been for a 2′ drawdown starting around Oct. 15. 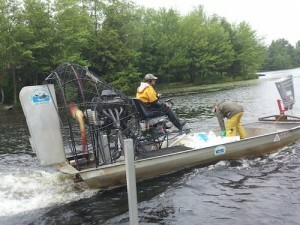 In August 2015 the Winchendon Springs Lake Association (WSLA) asked if MLPOA would support them in an effort to seek a 3′ drawdown instead of 2′ in an effort to control some of the Milfoil and to allow property owners a chance to do repairs. Our association agreed and MLPOA sent a letter of support. Members of the WSLA presented their case for the additional drawdown in a preliminary hearing of the Winchendon Conservation Commission. They were denied at that time because of issues with the owners of the Mylec/mill building. Those issues seem to be resolved but in WSLA’s research they discovered the old Order of Condition had expired. Since a new one had to be written and approved it was decided by both associations to ask for a 3′ draw down for 2015 instead of the 2′. 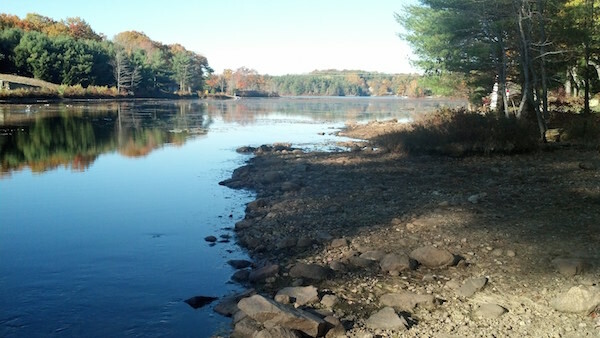 WSLA wrote the new order and presented it to Winchendon Conservation Commission on Oct. 22. WSLA along with Wendy Gendron of Aquatic Restoration Consultants presented the new Order of Condition with the 3′ draw down to the members. Without going into great detail they were asked many questions about why they wanted a 3′ draw down, when the draw down should begin and end and how it would affect the health of the lake and property owners. They also questioned why the old order had expired. The WSLA representatives were well prepared and did an excellent job in addressing the commissioners concerns and questions but in the end were denied the new Order of Condition. The determining factor in the commission’s decision seemed to be the issue of shallow wells and that all property owners had not been notified of the intent to draw the lake down an additional foot. When opened to the public a lake resident spoke of his concerns for his and other residents shallow wells and that a survey should have been conducted by both associations to determine the number of shallow wells still in use around the lake. His testimony seemed to be the one of the main determining factor in the commission’s decision. The commission’s final decision was to allow an emergency draw down of 2′ for 2015 and to reopen the hearings after the commission members have done some research and the associations have conducted a survey to identify all the shallow wells and a plan of notification. MLPOA would like to survey the NH lake residents to see if there are concerns about shallow wells. If you could take the time to fill out this survey below we can help determine the future of the drawdown level on our lake.